Some nice clean plain number plates too rather than those horrible things fited! Is that the Bull at Mottram St Andrew by any chance? If so, I spent many an hour of my mis-spent youth there in the early 70s whilst it was still just a pub (before its conversion to a restaurant) and there was a disco in the upstairs bar. It arrived today and I have to say it is absolutely mint, the carbon is perfect on it and the leather reflects relatively light use. 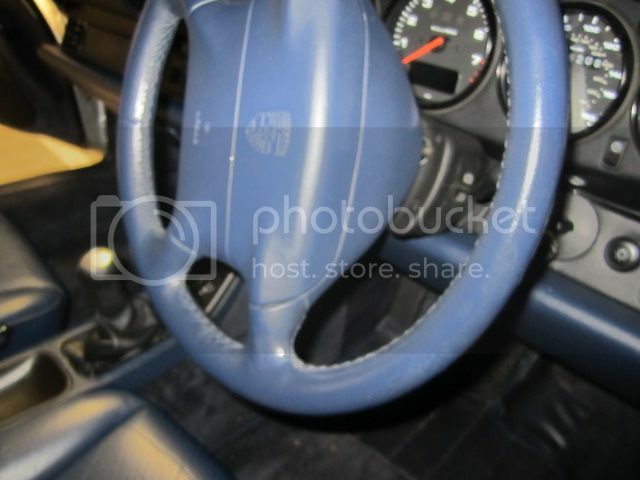 To find one with airbag in this condition is like rocking horse $h1t so I'm well chuffed. The Raid wheel I fitted has been awesome and I'm going to miss it but I just could not turn this down. So I got the chance to fit the Raid steering wheel at last. Earlier in my journal I posted a picture of a 340mm wheel I had ordered online from one of the popular Porsche suppliers. However after a few weeks they admitted that they had none in stock (to be fair I think most source to order) and could not get hold of the one I had ordered. In the meantime I had had second thoughts about a 340mm wheel so this worked OK for me to cancel the order. I have a 340mm wheel in my Z3m which I love. However, although it does not sound it going from 380mm stock wheel to 340mm is quite a change. 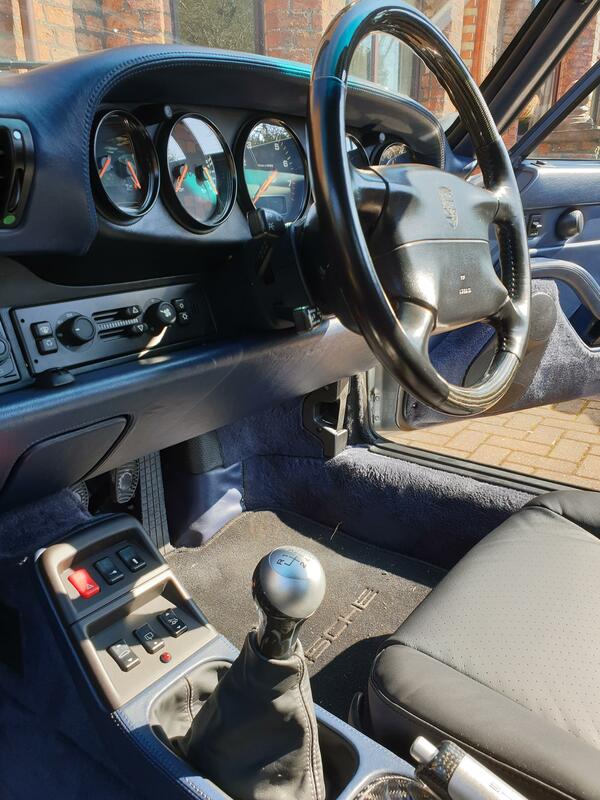 One factor to consider would be it does make the steering heavier which worked fine in the Z3m. The reason I had second thoughts was the fact that the 993 already has relatively heavy steering. I was concerned that going to 340mm may make it too heavy. 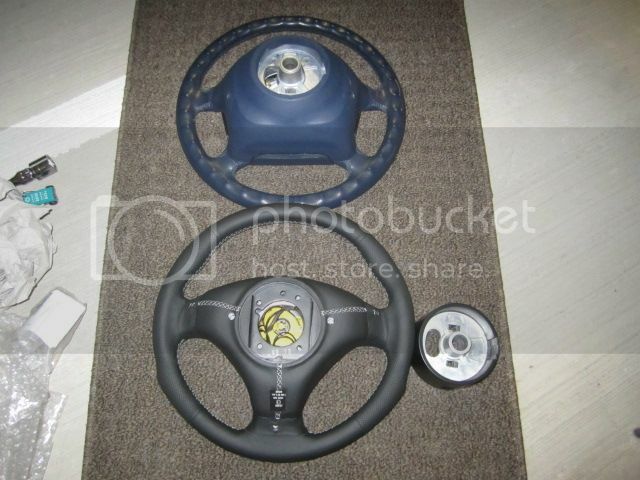 Ultimately I decided to order a 365mm wheel which is close to the popular porsche options. I also decided to go for full leather and I knew that if I did not like it I always had the option of swapping it with the 340mm wheel in the Z3m. The cheapest supplier I could find who I was also confident could actually supply one was Gert at Carnewal. So whilst ordering my RSR exhaust I ordered these (and some moer goodies to be revealed another day) and everything was received yesturday for the planned RSR install tomorrow. 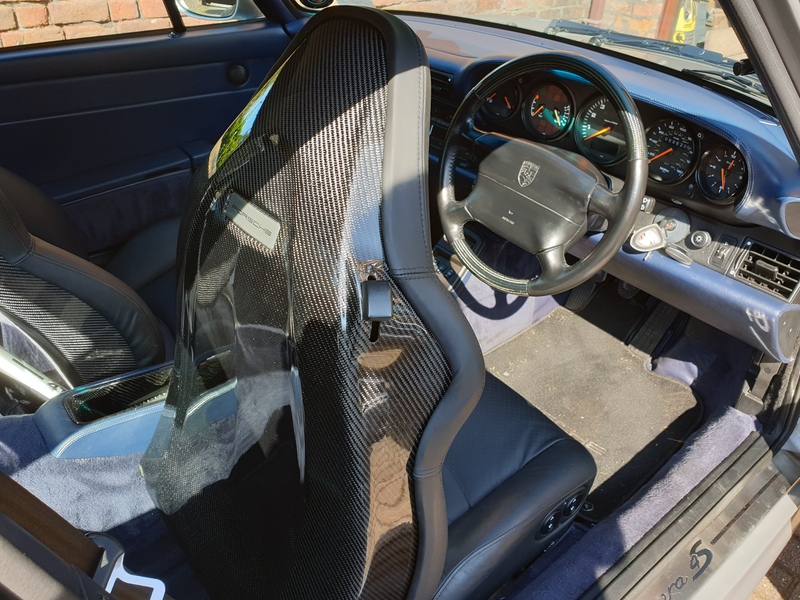 Firstly its worth stating that I'm pretty experienced at swapping steering wheels and did a lot of research into the subject on previous projects. However whilst researching anything I should know the is paculiar to the 993 it became apparent that although there is plenty of info on the internet there were no really clear instructions for a novice so I thought I may as well fully document the process. Secondly its worth noting that this really is an easy task on the 993. 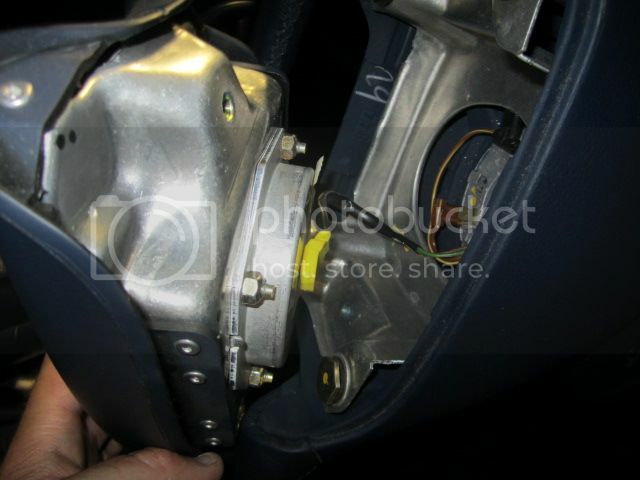 The most complex thing is simply fiddling with the blind retaining screws that secure the airbag. As always it helps to have the appropriate tools which I will also detail. 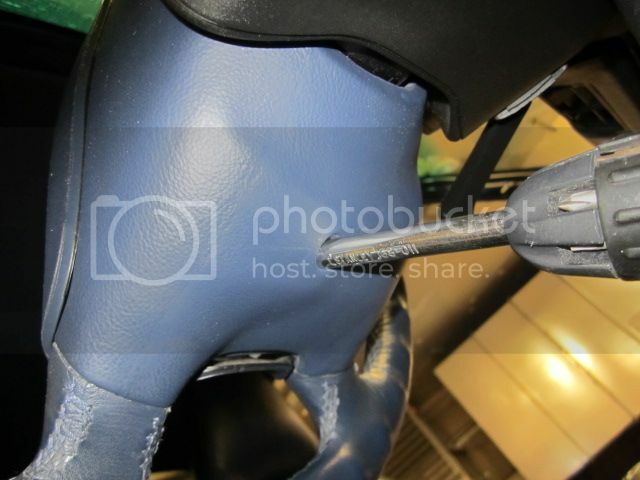 The only major thing to consider is the types of airbag systems and airbags being used to ensure compatability. In simple terms there are two types of system. 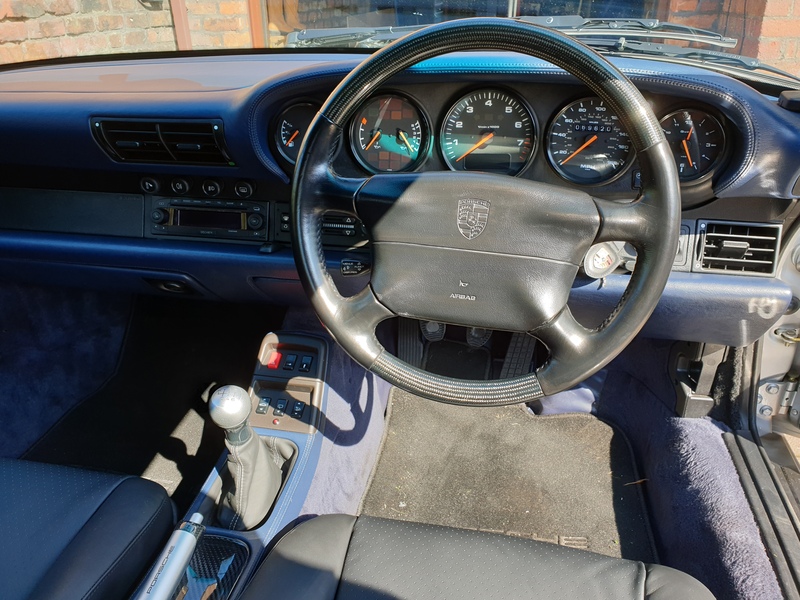 The earlier single stage system which the 993 has and the later dual airbag system which I presume later Porsches have (certainly BMW's after 1999 mostly have dual stage). You can install a single stage airbag into any system (you have to use resistors on the unused circuits to avoid Airbag faults) but you cannot install a dual stage airbag into a single stage system car. 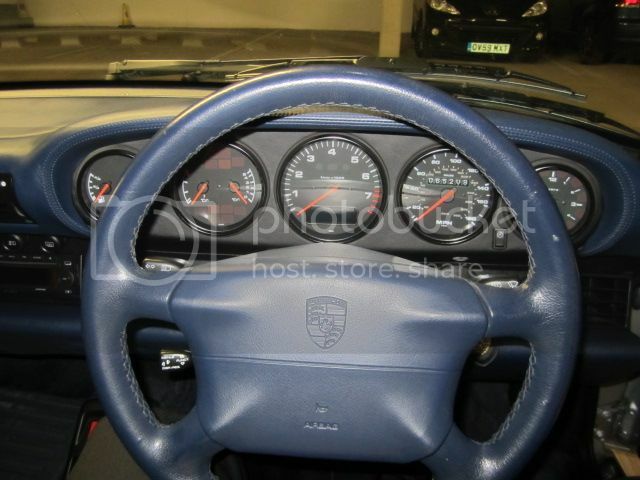 This was no issue in this case as the 993 is a single stage system and the raid wheel has a single stage airbag. The only thing 993 owners would need to be wary of is if they ever tried to fit a later dual stage airbag as it would not be compatible. 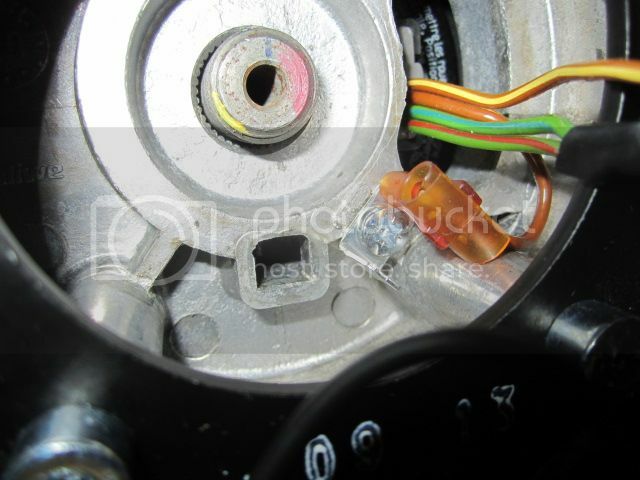 Another consideration is usually "slip rings". 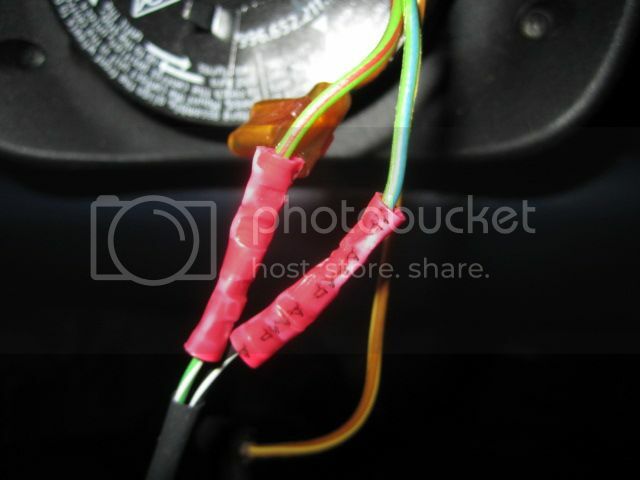 These are basically a ribbon which winds / unwinds as the wheels turns and acts as a bridge between the cars wiring harness and the wiring in the wheel (for horn, airbag and on later cars all sorts of other things). 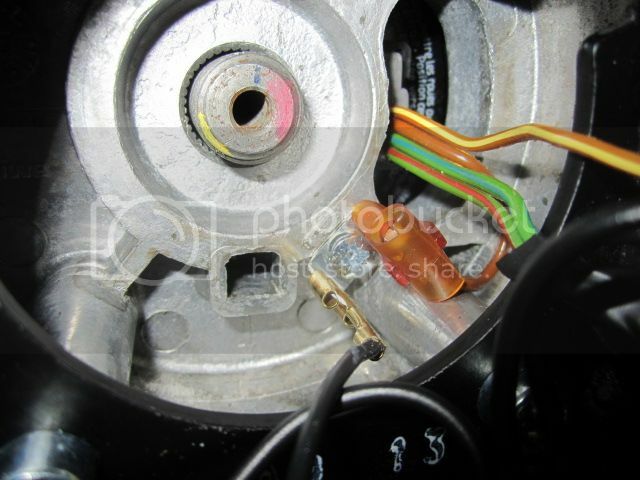 It means the wiring does not get itself in knots as the wheel turns more than 360 degrees.On some makes of cars these are fitted to the steering wheel itself and so have to be transferred to the new wheel complicating the process as they usually don't fit and have to be adapted. 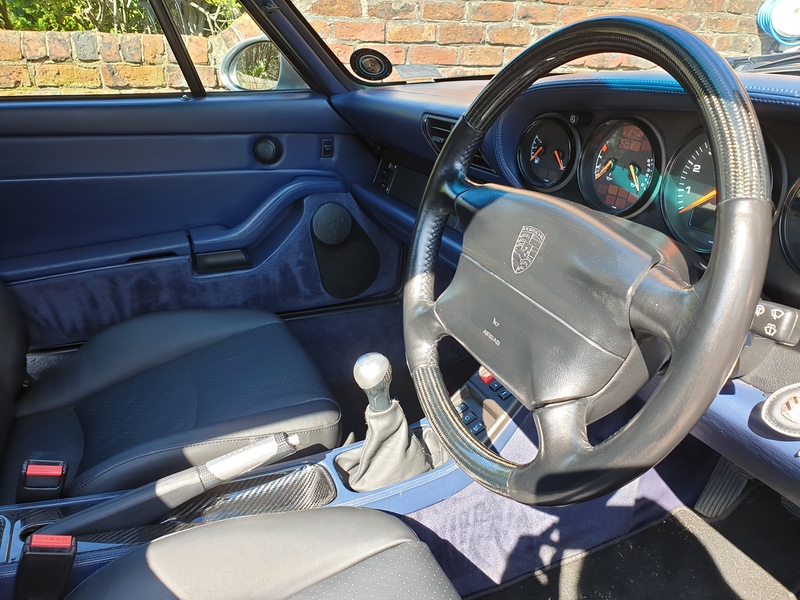 However in the case of the 993 it is fitted to the steering column and not the wheel which makes things a lot easier. 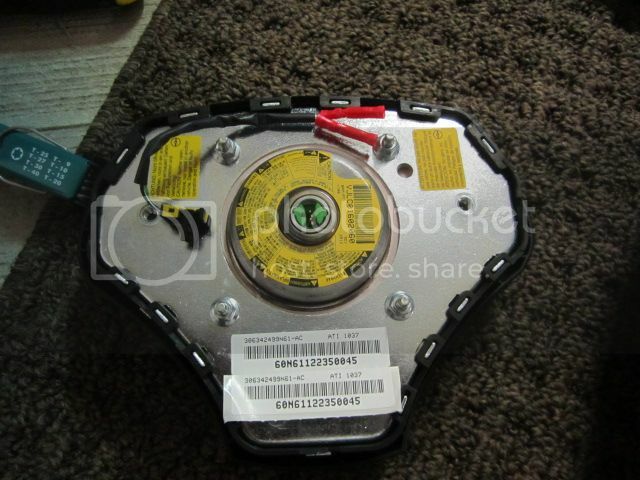 You have to order a "hub adaptor" that is specific to the 993 as the raid wheels are generic and the hub adaptors are used to ensure compatibility with many models of cars. IMPORTANT: UNPLUG THE CAR BATTERY. Here is the wheel and hub adaptor. 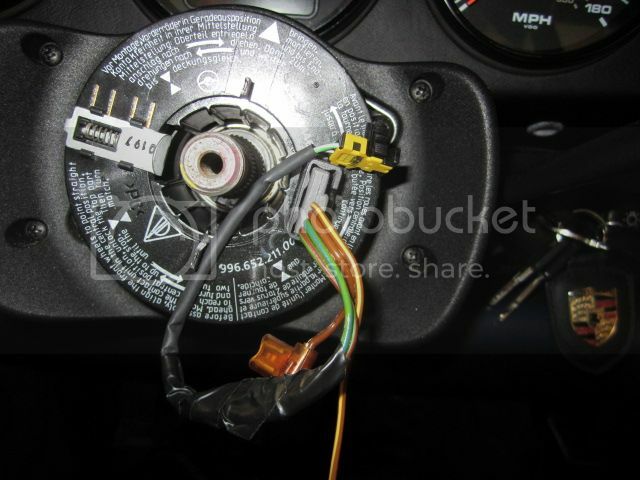 You also get 2 wires to connect the horn, a wire to connect the airbag, 4 screws to secure the hub adaptor to the wheel and some shrink wrap (I used electrical tape as I did not have a heat source where I installed). 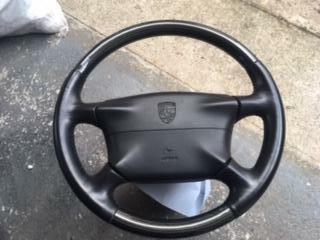 The first job is to remove the OEM 4 spoke steering wheel from the 993. 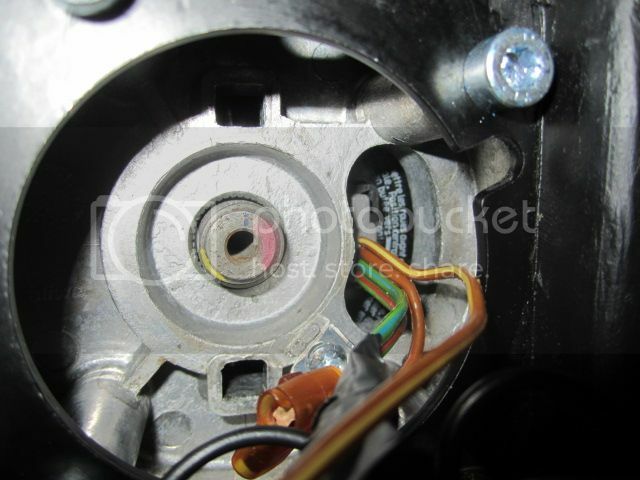 This is achieved by undoing x2 T27 torx screws which are accessed from behind the wheel. 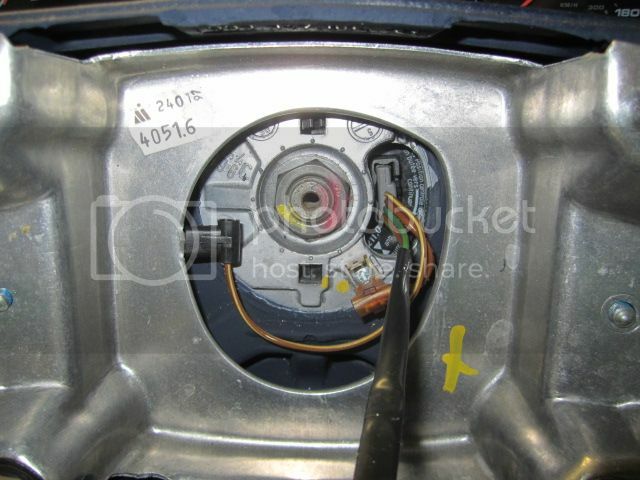 The problem is that the 2 airbag retaining screws are recessed about 20mm into a hole which is not very big. 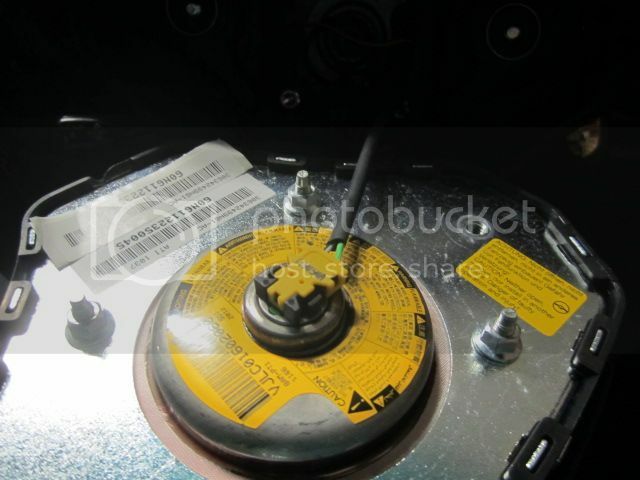 So if you nuse a torx bit from anm interchangeable set the shaft of the driver is likely to be too wide to either go in the access hole or if it does have enough play to "wiggle" the bit into place. 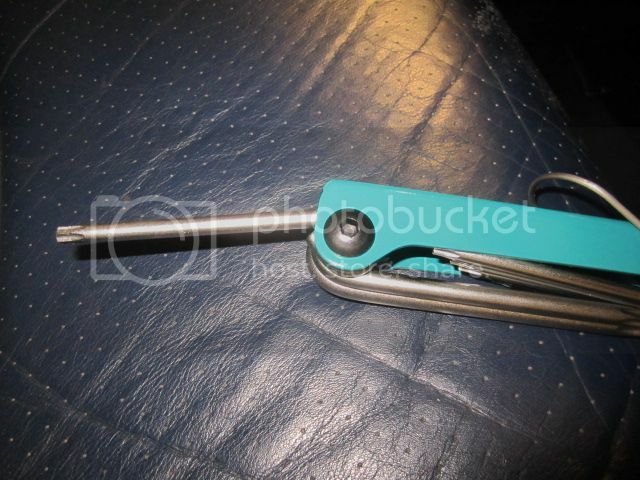 I therefore resorted to these which had thin shafts and were much easier to use. Also note anthying longer makes it harder as well as you end up hitting the lower dash constantly. 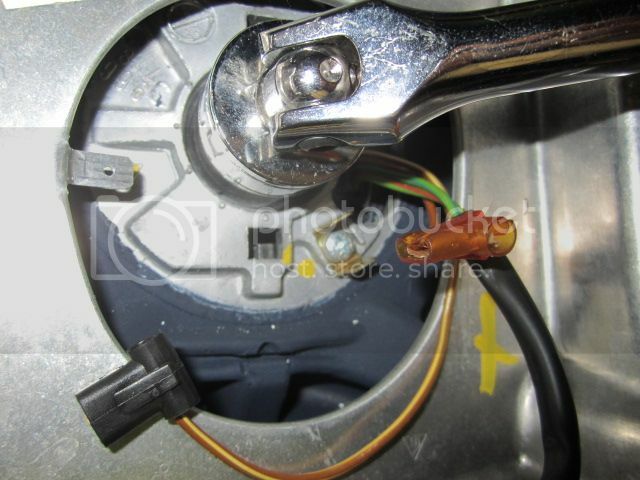 Once both screws are loosened you can pull off the centre airbag. 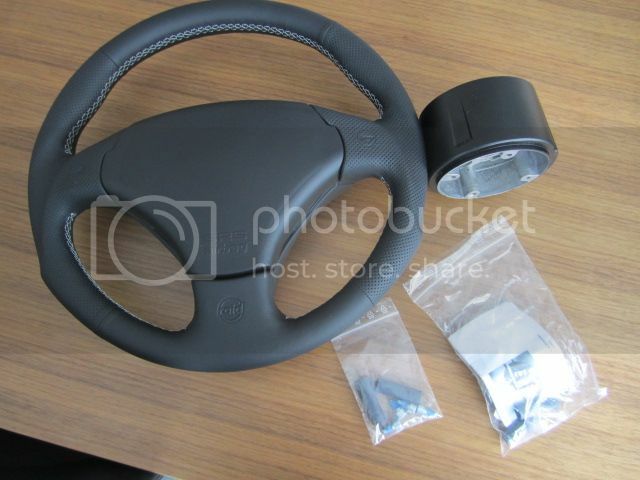 Before removing however get the wheel dead centre. 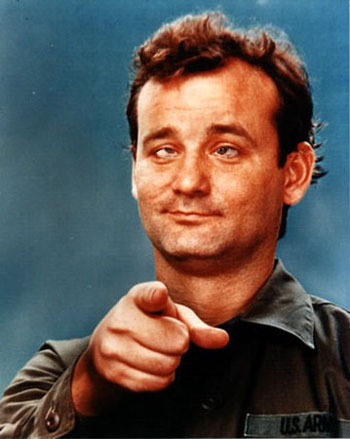 Its easier for your eye to do this with the airbag in place. 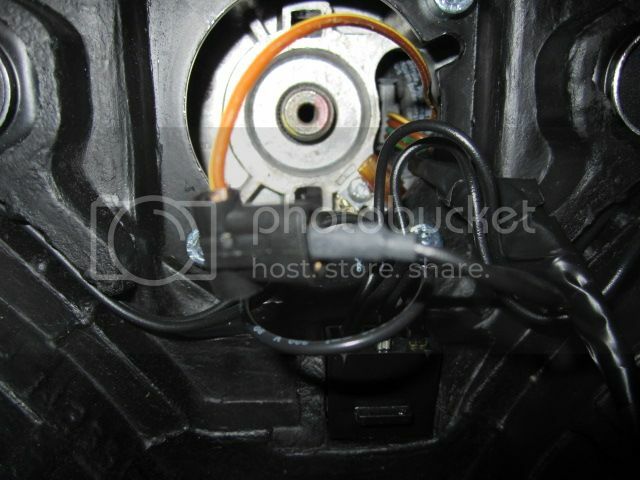 You need to ensure that the new wheel goes back on dead centre and some state you should mark it all up. In practice once you have the wheel centred there is no reason for it to move so I did not bother. 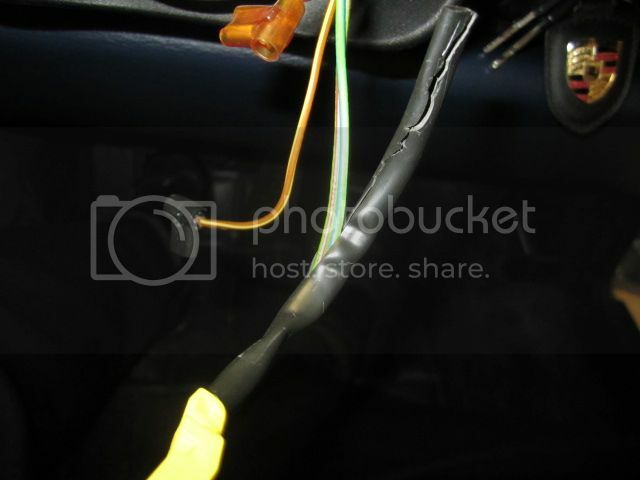 You can then remove the airbag connector. This can be stiff put you just need to pull it off. 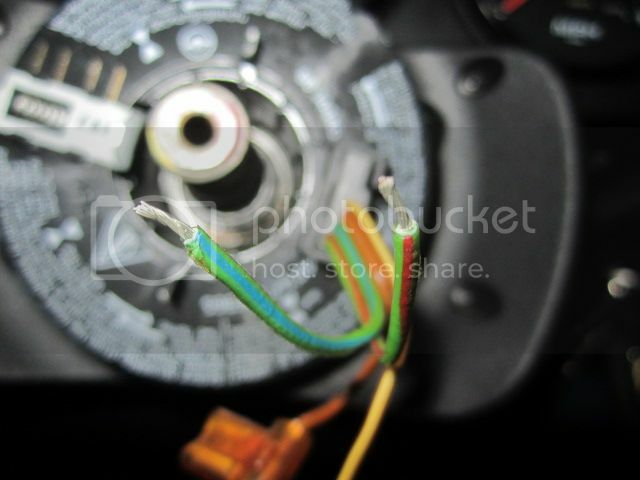 This then reveals the interior of the wheel. x2 airbag - again it does not matter which is which. 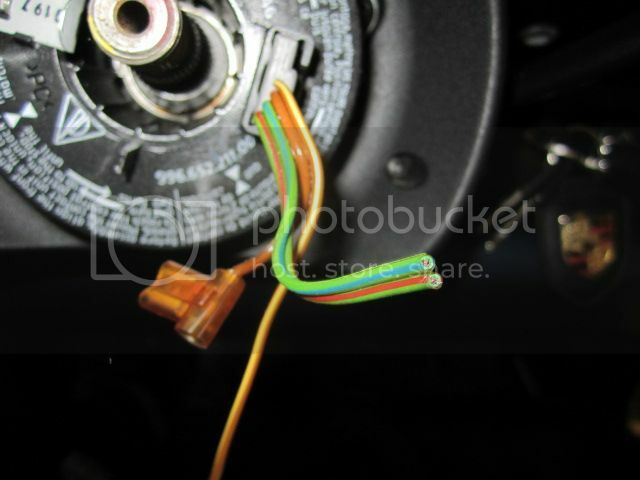 The two horn wires are seperate and are conencted to the wheel using spade connectors. 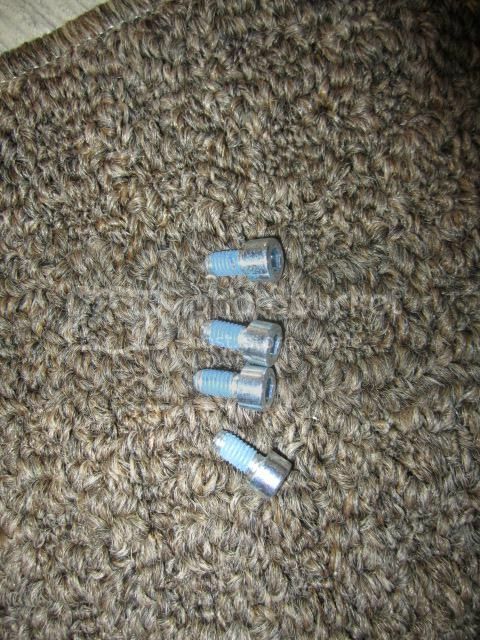 Just pull these off to disconnect them. 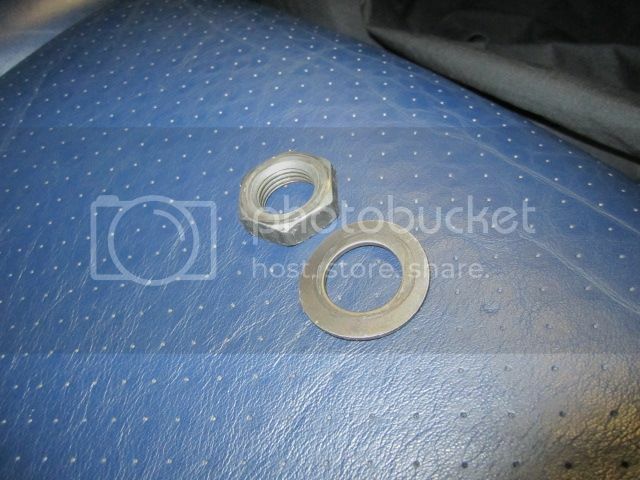 You can now remove the wheel from the car by undoing the 24mm bolt and washer. 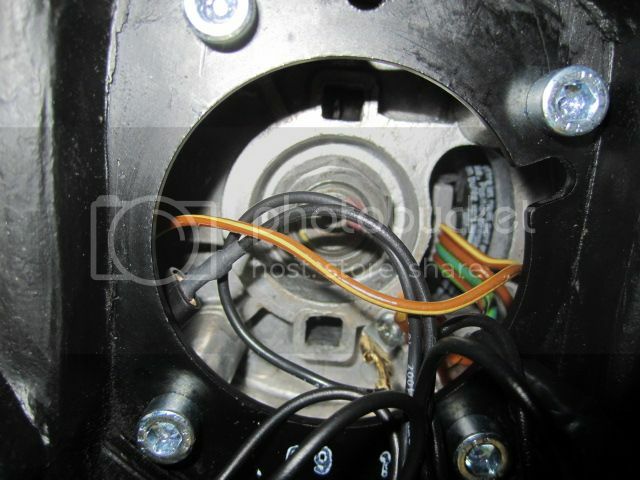 Once the bolt is remove you can pull the wheel off the steering column and feed the airbag and horn wires through the access hole in the wheel. 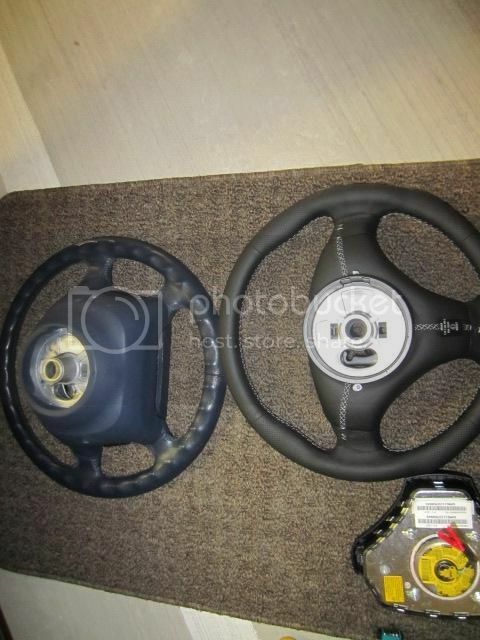 Now that the wheel is removed you can compare the two. 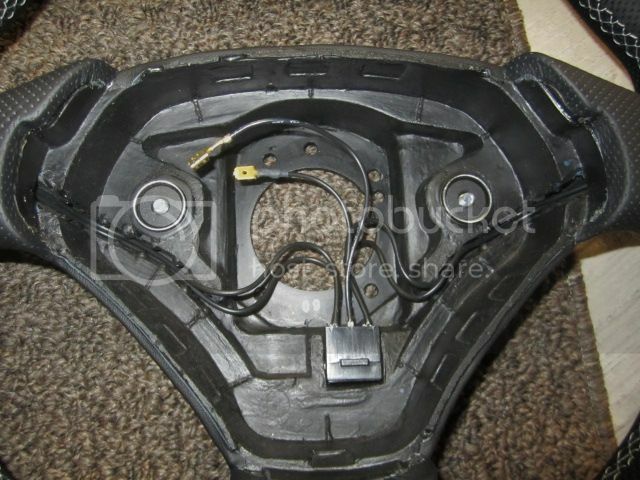 Note the hub adaptor mirrors the back of the original wheels with the 2 recesses for the slipring tabs and access hole for the wiring. So now the old wheel is finished with. 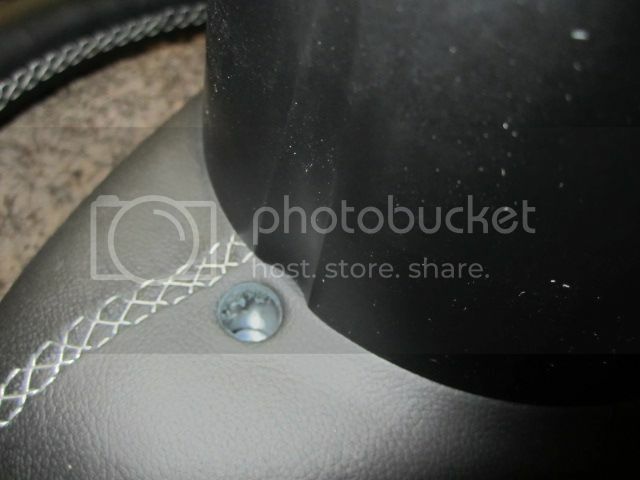 You can refit the airbag so as not to loose the retaining screws. So now we have to fit the hub adpator to the raid wheel. Its easier to do this when you compare it to the original wheel as this makes it obvious which way it fits. 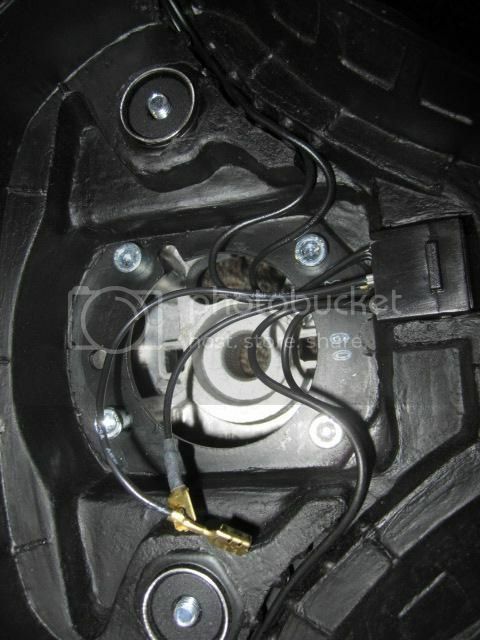 The two black horn wires which are supplied are simply connected into the connecting block located in the wheel. So the final thing to sort before putting it all together is the airbag connection. The connector from the car will not fit the raid wheel. 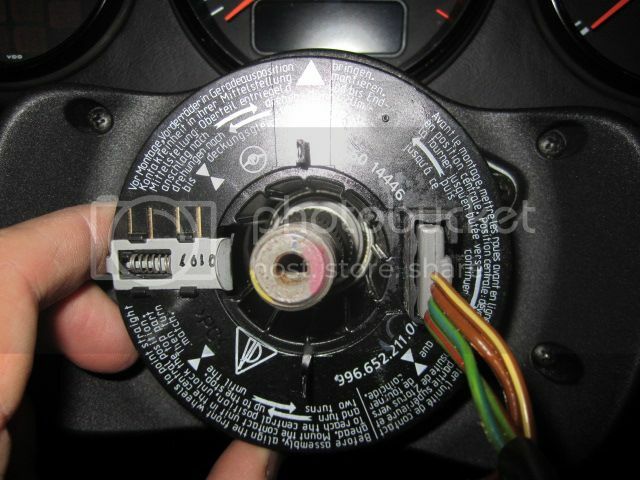 The raid wheel comes supplied with a connector but this must be wired into the car buy removing the old one. 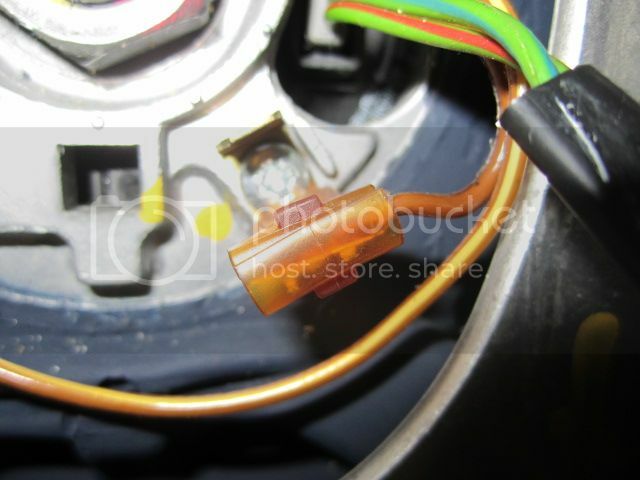 This can be done various ways with spade connectors being the most flexible as they allow easy reconnection of the original connector should you ever want to put the original wheel back in quickly. 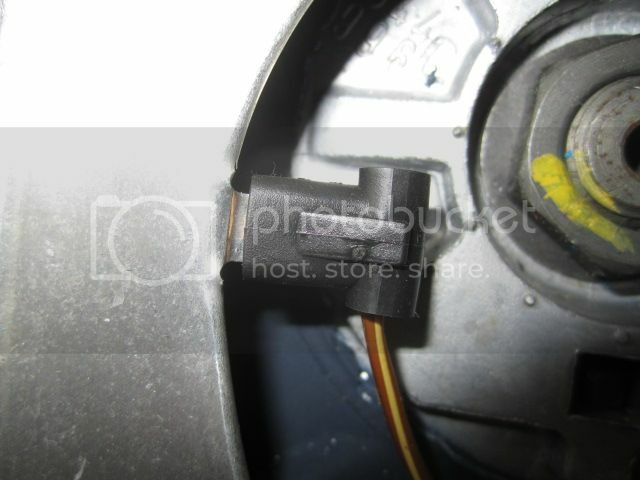 However for ease I went with the supplied connectors but it would still be a 5 minute job to refit the old connector and wheel. 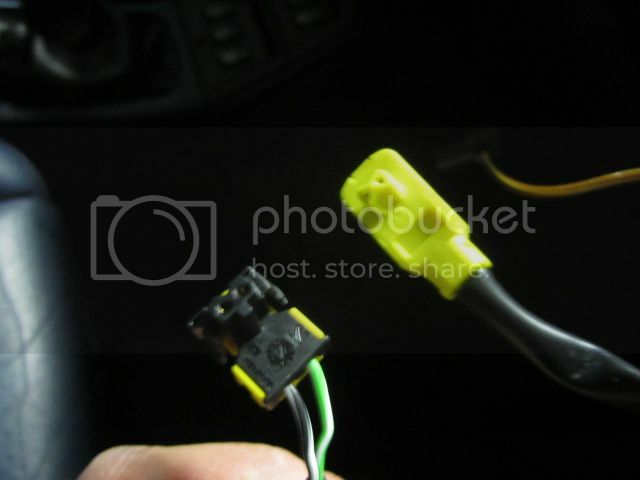 The original airbag connector on the right which has to be removed and new connector on the left which has to be wired in to the car. 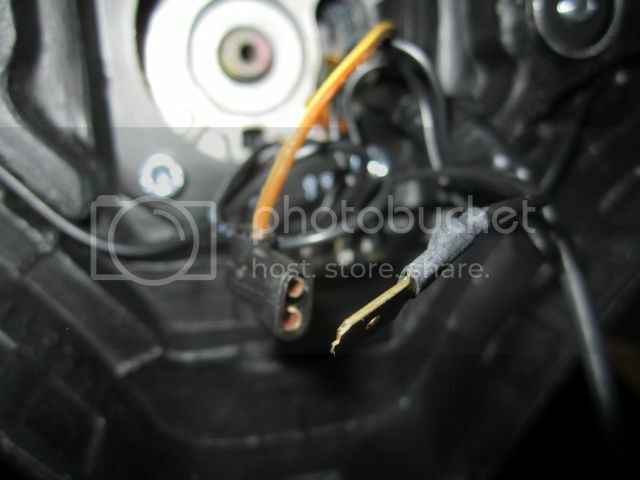 and then cut off the old connector. Leave enough cable to work (about 70mm) and also enough to the old connector to be able to reconnect it if ever needed. Now we can finally fit the wheel. 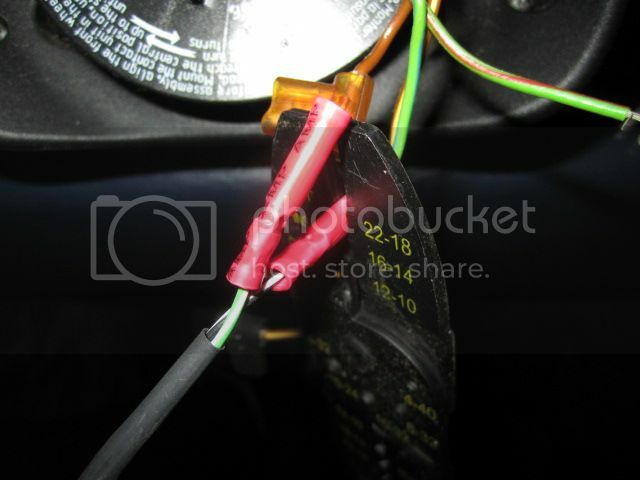 Connect the short horn wire from the car to the spade connector fixed to the wheel. 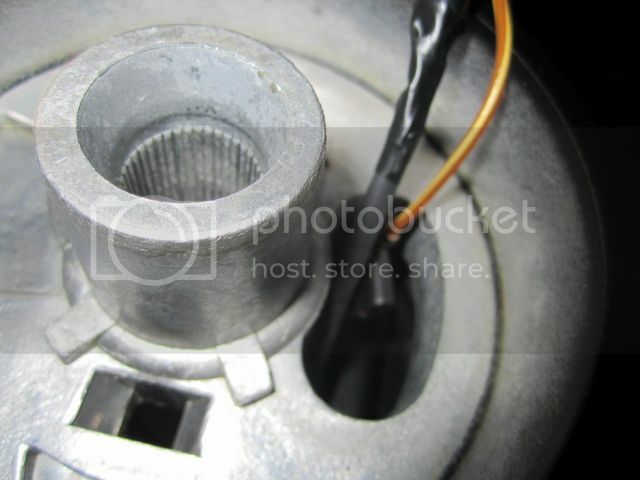 Connect one of the horn wires from the wheel to the adjacent spade connector (it does not matter which of the 2 horn wires from the wheel). 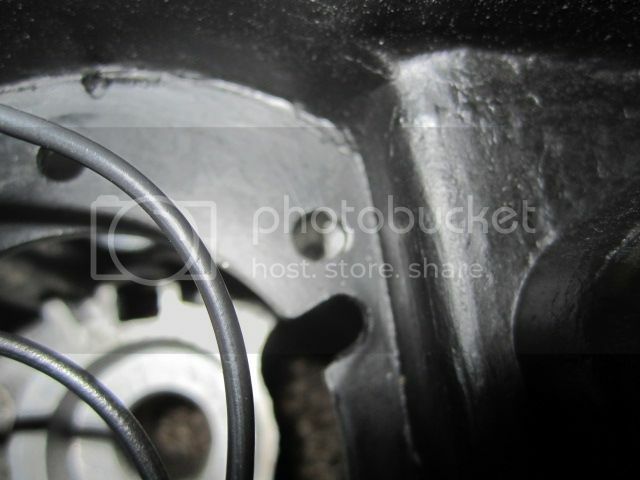 Put the 24mm central retaining bolt and washer back in place and tighten up. You can then tuck the horn wires away. Finally put the airbag back onto the wheel and secure using the x2 T30 Torx Bolts at the back (this can be fiddly so be patient and make sure the screws are engaged and secured tightly). 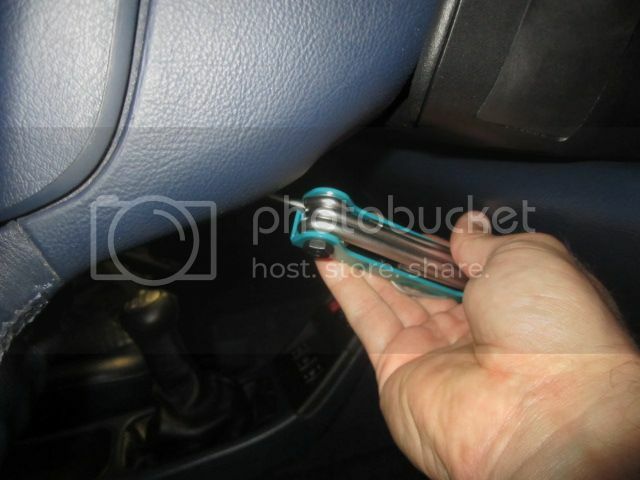 - Remove you keys from the ignition. - Connect up the battery. 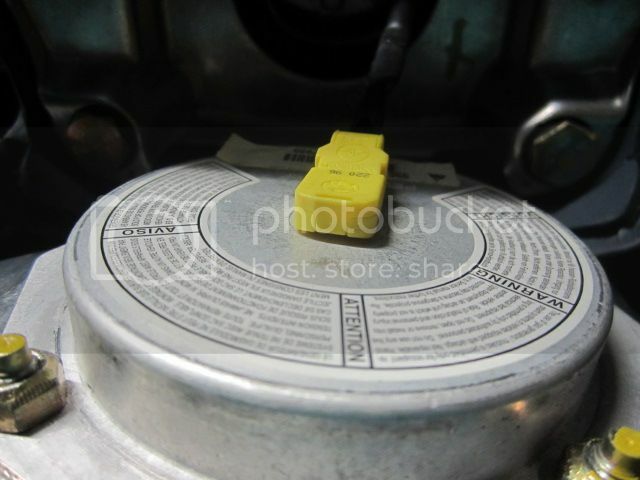 - take for a test drive to make sure fitted dead centre. 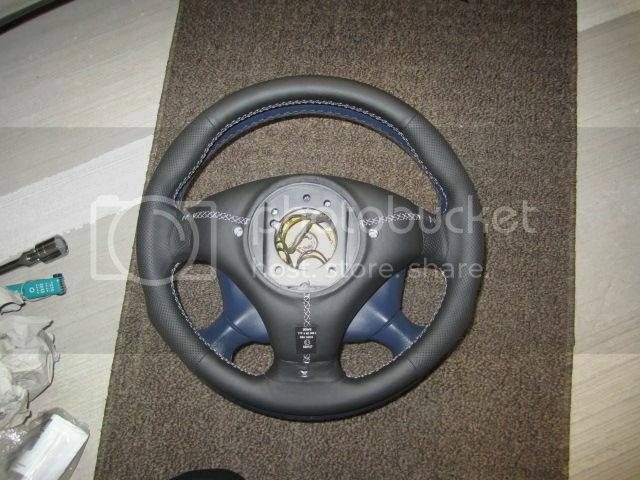 If not you will need to remove the wheel and refit. 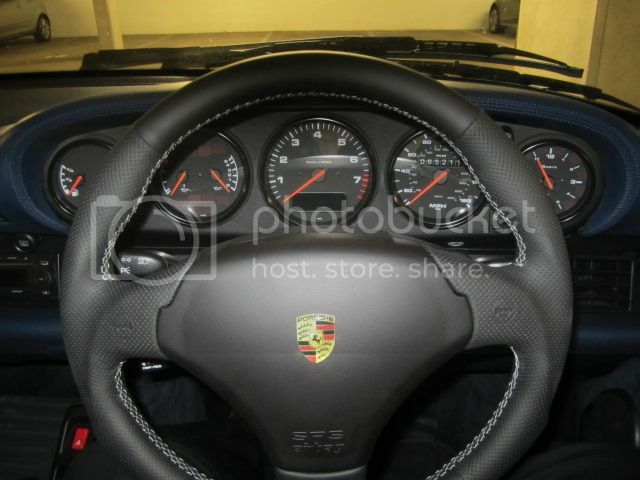 Looks good....I am debating whether to trade in my C4 cab for a 997.2 GT3 or a 993 C4s (now seems like a good time to buy)..whenever I see your car I think C4s is the way to go! 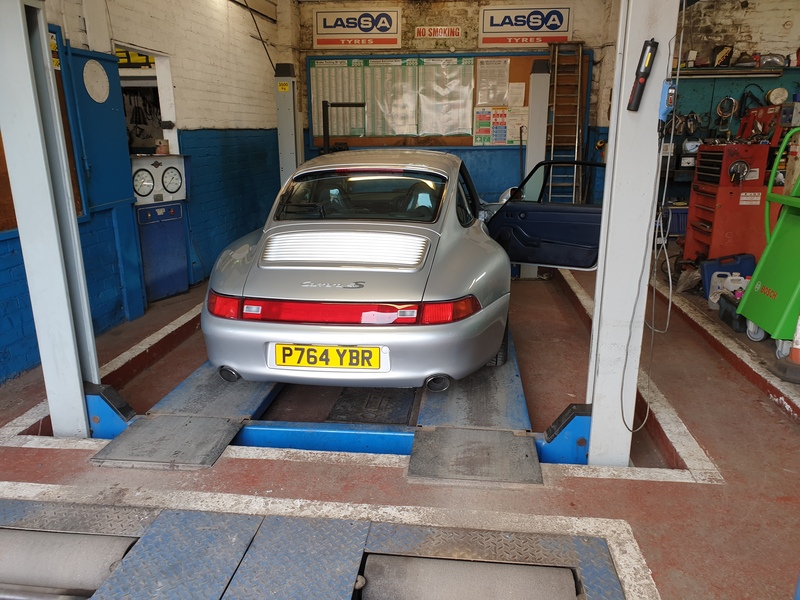 The 993 went in for its MOT today.........once again passed with flying colours and no advisory. "Au Contraire, it is a classic Porsche colour from the period and was very popular with the silver cars. 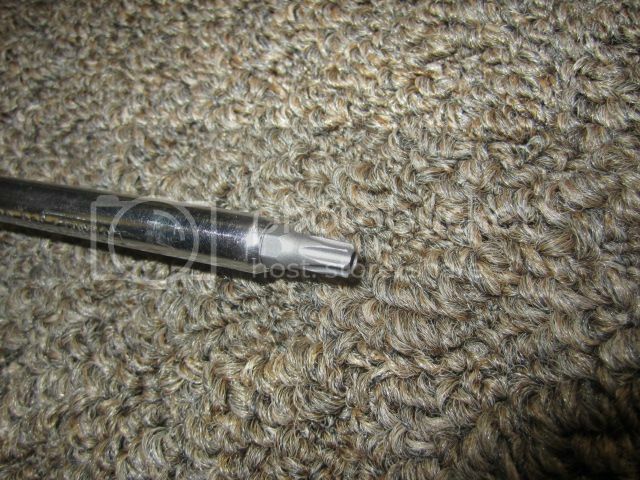 Granted it can be a little overpowering if not toned down subtly with a complimentary two tone effect "